Whether you are a beginner, an avid fitness enthusiast, or just tired of the same routine, come try Small Group Personal Training at Four Seasons. 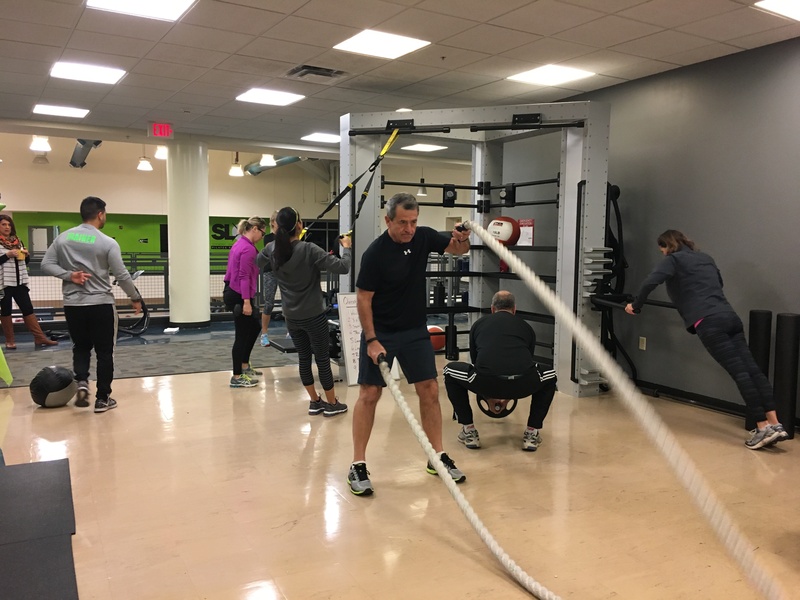 Small Group Training (SGT) is designed for individuals that want a personalized training experience and are willing to share time and cost of a certified Personal Trainer. The structure of SGT allows you to take full advantage of our expert training staff and train in a team environment that promotes motivation, accountability, and RESULTS. Each workout is designed to increase your functional strength, reduce injuries, and boost your metabolism. Participants will experience a variety of strength building circuit-type intervals that combine weightlifting movements, plyometrics/cardio, core work and stretching. Join one of our scheduled classes, or grab a few friends and build your own class! Our new flexible class scheduling allows you to register for a preferred session, but when life gets in the way, allows you to attend any session offered in the same week.